CCleaner is the app to beat The Best Windows Cleaning Tool Gets A Disk Analyzer The Best Windows Cleaning Tool Gets A Disk Analyzer You can now clean crap more efficiently with CCleaner v5. The new disk analyzer feature reveals what files are hogging space. See how it complements CCleaner's proven junk removing tools. Read More in the PC cleaning department. For those that want to go above the basic cleaning provided by the Windows Disk Cleanup tool, CCleaner allows you to clean out temporary files by program, and offers advanced features for power users. However, there are always alternatives to CCleaner, and one such app you might try checking out is atomiccleaner. This simple app lets you clean junk from your computer in the areas of browsers, old system files, games, and programs. It’s a simple tool that any user can take advantage of to clean their system — its Analyze option lets you see what needs to be cleaned at a glance. 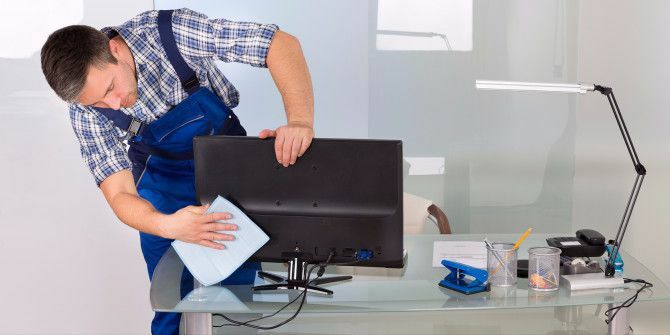 Remember that overzealous cleaning can break Windows 5 Ways Overzealous Cleaning Can Break Windows 5 Ways Overzealous Cleaning Can Break Windows It's easy to go overboard with cleaning your PC. When you're cleaning your PC, be sure you know what you're getting into -- it's easy to break something. Read More , so don’t get carried away with using atomiccleaner. An analysis and cleaning every month or so should do the job to keep the crap away, but you don’t need to run this obsessively. In addition, be careful of cleaning Registry values. Registry cleaning is useless at best Don't Believe The Hype: Registry Cleaners Don't Make Windows Faster Don't Believe The Hype: Registry Cleaners Don't Make Windows Faster Much advice has been given on how to keep your computer running smoothly, as well as how to fix it when it has become slow. We have even published a Windows on Speed guide, written... Read More and best and harmful at worst, so stick to deleting temporary files and the like. Time will tell if atommiccleaner will uproot CCleaner, but for now, it’s a good alternative if you find CCleaner too complicated or don’t want to use its extra features. Give it a try and see which app you like better! What app do you use for your PC cleaning needs? Let us know down in the comments! Explore more about: CCleaner, Computer Maintenance, Registry Cleaner, Windows Registry. Your site said I have an ad blocker which I do not, just a good antivirus I guess. Certain privacy extensions that block cookies and the like can also trigger that message. Does your antivirus have one of those? I always use Wise Care, but that is paid software and it can do some extra bits besides cleaning your system. I have been using Ccleaner and Bleachbit to remove the cache, cookies and browsing data. I use CCLEANER because it is what I call a "safe" cleaner. Perhaps doesn't get as much as others but is pretty safe to use. I used to use SystemNinja too but it interpreted the JUNCTION folder and it's files/links as belonging to the recycle bin (maybe because the real path pointed to another drive) and deleted those links/files AND the original files from my computer. I complained to SystemNinja but they essentially dropped my complaint without resolving it. Going to try. Though Ccleaner and System Ninja are quite enough fro me.